- Hauppauge - WinTV-HVR 1600 MC-Kit - Model 1389. 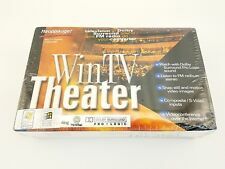 WinTV-HVR-1600 has these great features. For Analog TV reception, you need an analog cable TV connection. Now includes digital audio SPDIF and IR Blaster technology for set top box use. Includes HDMI and component cables. Hauppauge-WinTV-PVR-USB 2.0 TV Tuner/Personal Video Recorder. Digital video recorder and player. Turn your PC or laptop into a Digital Video recorder. 125 channel cable ready TV tuner for TV in a window (or full screen). You are buying a brand new factory sealed Hauppauge PCTV HD Mini Stick USB 100% Digital HDTV Tuner Remote Antenna U3. Shipped with USPS First Class Package (2 to 3 business days). Please note I do not accept returns on brand new factory sealed items. Hauppauge HD-PVR High Definition Personal Video Recorder 1212 NO SOFTWARE INCL. Hauppauge HD-PVR High Definition Personal Video Recorder 1212 NO SOFTWARE INCLUDED, DRIVER CAN BE FOUND ONLINE FOR FREE. Remote control has never been used and includes 2 new batteries. Shipped with USPS Priority Mail. Hauppauge WinTV DualHD - Canada. [Read more ]. We focus on making purchasing online a pleasant experience. Our sales office is located in beautiful town of Redondo Beach, California, just a few miles South of Los Angeles International Airport. Hauppauge turns your PC into an HDTV with their WinTV-HVR-1600. This PCI card has two tuners: NTSC, and ATSC/Clear QAM, plus an FM tuner so you can listen to the radio. The ATSC/clear QAM tuner supports all 18 ATSC formats including 1080i. They've done it again with their HD PVR. This compact unit connects to your PC through a USB 2.0 interface for high speed data transfers. The back panel has Component Video, RCA audio and optical audio inputs with loop through outputs for each. Studio quality professional HD video recorder featuring HDMI in and HDMI out pass through Component video in Optical audio in and IR blaster out. Offload your DVR and free up DVR disk space. Includes our Personal Logo inserter you can add your own logo to your recordings and Twitch and Ustream channels. HAUPPAUGE HD PERSONAL VIDEO RECORDER 2 (HD-PVR2). With the TV scheduler and IR blaster, HD PVR can change the channel on the set top box and record the selected program. Hauppauge’s TV Scheduler provides a easy way to schedule your TV recordings. Product details MPN: 01590. Mit WinTV-dualHD können Sie das bereits seit 2004 in Deutschland ausgestrahlte DVB-T Fernsehen und auch das neue DVB-T2 Fernsehen empfangen. Mit WinTV empfangen Sie nur die unverschlüsselten, also frei empfangbaren Sender. 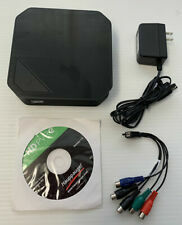 Hauppauge Hd Pvr Rocket And English Manual - Functions: Video Recording, Video Encoding (1540_2). Marketing Information HD PVR Rocket: carry a personal HD video recorder in your pocket! HD PVR Rocket is portable and USB bus powered. Now includes digital audio (spdif) and ir blaster technology for set top box use. Includes hdmi in and out plus no-delay pass through! Includes hdmi and component cables. Product Line HD PVR 2. 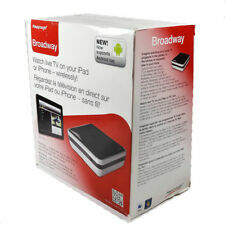 Product Title Hauppauge HD PVR 2 Video Capturing Device (1512). Hauppauge WinTV HVR 2250 Dual TV Tuner in excellent working condition! HD PVR 2 Product Features. HD PVR 2 Gaming Edition HD recorder. Setup is a snap! Input: Xbox 360 (unencrypted HDMI). Output: HDMI (no delay passthrough). HDMI cable to connect to your TV monitor. Input: PlayStation 3 (Component video). With WinTV v8, you can watch or record your favorite TV programs in your PC, in a window or full screen. You can choose either picture-in-picture or have two complete TV windows on your Windows screen.The WinTV-dualHD turns your PC into a high definition DVR. WinTV QuadHD. P/N: HAUP1609. SKU: HAUP1609. MPN: HAUP1609. Manufacturer: Hauppauge. HauppaugeModel - 1436 External TV Tuner Box. - Antenna / Cable TV connector (F-Connector) (models with built-in TV tuners). 256kbit/s and Wi-Fi hotspot or 3G connection wherever you are worldwide. TV Standards. This item is a new in original package. Receive NTSC analog cable TV with the built-in 125 channel cable-ready TV tuner. A single tuner ATSC, QAM, NTSC receiver for your PC. Watch, pause and record HDTV or analog TV on your desktop PC. NTSC Analog Cable, Over the Air TV.